Foundation repair is an unfortunate problem that arises for families all across the state of Maryland. These problems include wall rotation, cracked bricks, displaced moldings, misaligned doors/window, and cracked sheetrock. Is your Mount Airy home experiencing any of these problems? Before matters get worse, you should seek out professionals to help combat this issue. If you’re looking for foundation repair in Mount Airy, look no further than AA Action Waterproofing. With countless years of experience in the Maryland area, we are confident that we can identify your foundation issues, and provide you with a safe and cost-effective solution for your home. When considering foundation repair in Mount Airy homes, you need to understand how foundation settlement occurs. Over time, the walls of your foundation may begin to crack and separate. The effects of weather on the soil around your property is usually the most common reason for this occurring. Soil that is unstable and issues with drainage around your home attribute to this. Dry heat removes moisture from the soil, allowing it to shrink and move away from your home’s foundation. This space that is created allows for foundation movement and settlement, causing drywall cracks, concrete cracks, and eventually, stuck windows or doors. This foundation settlement refers to the downward motion of your house or building from its original position. Some form of settlement is normal around most homes, but if the soil that your foundation was built on is not compact, and contain spaces or voids, you may experience serious issues with foundation settlement. 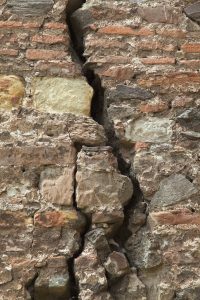 If you notice a crack about a quarter inch wide, or several smaller cracks within the ceilings, walls, or foundation slab, this may raise concern. To play it safe, it would be wise to consult foundation repair in Mount Airy. Having an expert with thorough knowledge on the subject will help you know how much damage has been done and what can be done to help combat the problem. On the opposite end of the spectrum, heavy rain and snow can make the soil around your home extremely damp. This is obviously a fact about nature, but if you fail to have a properly working drainage system around your property, then you can potentially be at risk for severe foundation damage. Excess water will accumulate around your home, creating foundation problems due to hydrostatic pressure. Hydrostatic pressure refers to water pressing against the basement walls, causing the weight that’s against the walls to exceed its capacity. This results in the bowing and buckling of your basement walls. This problem can be addressed in a number of ways, and each solution has its pros and cons. The best way to figure out what you need is to contact a foundation repair expert. These people specialize in foundation repair around Mount Airy and should know the best course of action to take. When seeking foundation repair in Mount Airy, it’s absolutely critical that you contact a company that is reputable and can get the job done. A foundation repair company from out of state may not understand how the elements affect the lands of Mount Airy . They may provide a solution that isn’t going to work entirely, providing a band aid of sorts, but not fully eliminating the issue. With over 30 years of experience in the Mount Airy area, as well as the state of Maryland, AA Action Waterproofing will be happy to come inspect your property and figure out the best way to get rid of your foundation problems once and for all.